Editor's Note: This is the first part of a three-part series based on the new book, "Aliens in the Promised Land: Why Minority Leadership Is Overlooked in White Christian Churches and Institutions." The series will look at racism and multi-ethnicity in the church from the perspective of African-American, Hispanic and Asian-American Christian leaders. In Aliens in the Promised Land: Why Minority Leadership Is Overlooked in White Christian Churches and Institutions, nine evangelical theologians write about their personal experiences as minorities interacting with white evangelical institutions. They also offer practical solutions to help evangelicals overcome racial divisions and build multi-ethnic institutions that more accurately reflect the image of God. The Christian Post will be publishing a series of interviews with some of the book's contributors over the next week. The book will also be introduced at a launch party Tuesday night at Calvary Baptist in Washington, D.C. 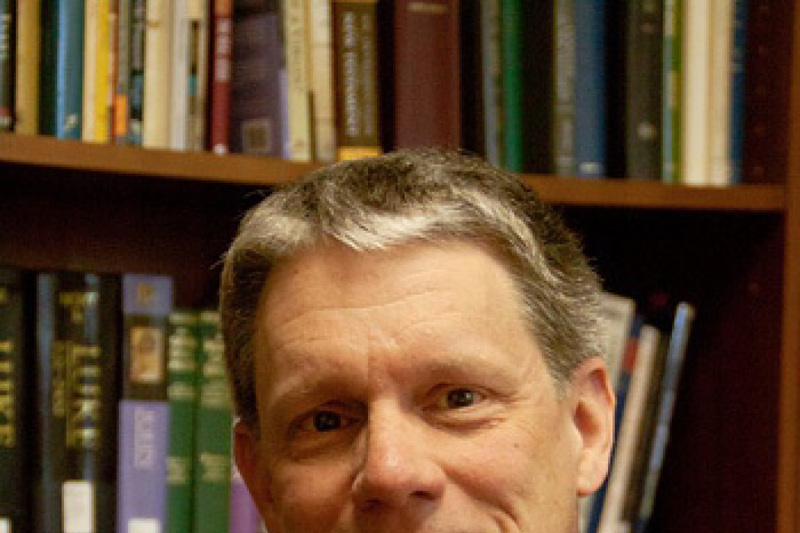 The idea for the book came from Anthony Bradley, associate professor of theology and ethics at The King's College. Bradley also edited the book and wrote the first and last chapters. CP recently spoke with Bradley about the book. Here is an edited transcript of that conversation. CP: What is the purpose of the book? Bradley: The purpose of the book is to provide a context for a conversation among Asian-Americans, Hispanics and African-Americans. To actually present for the first time a distinct voice from the other to the majority. We often find race discussions that are led by major white leaders. Sometimes there may be a black voice or two, but this is the first time that you had a project that's exclusively from the voices of minorities that spans multiple denominations, both inside and outside of evangelicalism, to really speak about the issue of diversity within the evangelical community. We really want this to be the beginning of a conversation that is led by minority leaders who are giving, not only their experience, but also very good practical ideas to help evangelicalism become a more diverse space in multiple settings – local churches, Christian colleges, seminaries – so that evangelicalism, broadly, can present an image to the world that the Gospel makes a difference in terms of how we relate to one another. CP: Each of the chapter authors are talking about their personal experiences with racism within the evangelical community, correct? Bradley: Yes. They're giving their own story in evangelicalism. Some having spent several decades as the only minority in their evangelical denomination, school or church setting, and they're speaking from their own personal experience, decades of experience, and reflecting on their experience. Out of their story, they're now looking back and saying, if evangelicalism is serious about displaying diversity, here are some practical ideas, some really concrete steps that need to be taken in multiple contexts for that to happen. One design I had for the book was to select minority leaders who have had several decades worth of experience. I'm talking real sages here. I often find that much of this discussion is led by, in some respects, young minority evangelicals. I wanted something where we were actually going to hear from older minority evangelicals. To really look back on three, four, five decades of experience and reflect back their recommendations from their lived experience. CP: The subtitle is, "Why minority leadership is overlooked in white Christian churches and institutions." Do all the chapters attempt to answer that question directly, or is the question answered by looking at the whole? Bradley: Each chapter is going to explain why it is the minority leaders are overlooked in the respective community that the author is representing. Some are representing church planting, some are representing Christian education, some are representing denominational leadership structures, some are representing a local church context. So, the organizational and institutional spaces where evangelicalism is thriving. We have representatives from all those different communities offering answers to that particular question from their own experience and the experience of others they know. CP: The racial reconciliation movement has been active within evangelicalism. You say it does not go far enough, that we need racial solidarity. How is racial solidarity different from racial reconciliation? Bradley: That's a great question. One of the reasons I'm focusing on racial solidarity instead of racial reconciliation is that racial reconciliation implies that there was some previous conflict, some previous tension that needs to be reconciled. There is some previous offense, perhaps. I think that for relations between African-Americans and whites from the Civil Rights Movement forward, that term was more than appropriate. However, for the hip-hop generation and for millennials, many of whom have grown up in multiethnic communities, in multiethnic schools, are fans of hip-hop, and have been saturated in multi-ethnicity, there is no previous tension to be reconciled, there are no issues they, sort of, need to come to the table with. So, the focus on reconciliation, at least in my mind, misses good applications of the need to push forward with racial diversity and multi-ethnicity, not on the basis of previous conflict, but on the basis of the fact that we are all made in the image and likeness of God. The Imago Dei is really the starting point in addressing issues of why multi-ethnicity is important for all of the institutions where evangelicalism is currently thriving. So, racial solidarity begins with an understanding that we are made in the image and likeness of God, and then begins to do an interrogation of the things that divide us. What are the things that keep us from expressing, together, what it means to be made in the image and likeness of God? I say this because the Imago Dei has often been too narrowly reduced to the individual. But, one of the things I've learned from a theologian named Herman Bavnick is that the Imago Dei cannot be understood in terms of one individual person. God's image is too robust and expansive for that. But, the Imago Dei is best represented by thinking about it in terms of the whole of humanity – the aggregate of all the people God has created that make up the image and likeness of God. So, if we have racial division and strife, if we have any sort of racial homogenization, we can't really be a good representative of what the image of God actually is. Racial solidarity begins with this principle that we are all made in the image and likeness of God. It's a positive approach. It's not based on any previous tension or accusation. We all share the same starting point – His image – and let's ask questions about what it is that divides us. Also, racial reconciliation doesn't quite go deep enough in terms of interrogating and asking some of "those" questions. What we've seen since the 1970s is that racial reconciliation has generally been viewed within the context of white evangelicals trying to reconcile primarily, almost exclusively, with African-Americans. What that has done is not rightly address questions such as power. So, you could have a racially reconciled context but still have a power dynamic that still has to be addressed. If we focus on reconciling on the basis of race, we miss some of the other intersections that actually divide people, like class, power, authority and issues of leadership. So, racial solidarity is a new way of helping us understand that what divides us includes, not simply past tensions, but also present disparities as it relates to power, social location, who makes decisions in organizations, etc. CP: Is there anything interesting you learned in the process of editing the book? Bradley: Yes. There were two things that really surprised me. One, that minorities don't talk to each other much. Asian-Americans, Hispanics and African-Americans actually don't talk to each other at all about these issues. They often are siloed into their own conversations about these issues, mainly with the majority culture. So, it's fascinating to engage everyone in one another's work and see the richness of a discussion that's actually among minorities. Secondly, I was intrigued by many of the ways the black experience, the Hispanic experience and the Asian-American experience had some unique components, but also some components that they all had in common. Bradley: This book is highly provocative, because some of the proposals that will be made will actually challenge, in a good way, the prevailing narrative about what multi-ethnicity and diversity could actually look like in the future. The book is going to really press the envelope in terms of thinking about our cultural intelligence, which I believe is a major source of why we haven't been able to move forward. It is our lack of cultural intelligence that has prevented us from making the kind of headway that I think evangelicals want to make. I would say the big gem in the book is that it is not simply a bunch of minorities who are angry. They are not ranting about their experience. They are simply telling their story and offering really positive, hopeful solutions – real solutions that various evangelical leaders in various contexts can begin to apply. The book is very application centric, which is something that is often lost in the discussion. We often simply want to discuss the issues and are left with the, "well now what?" Well, this book is designed to give the "now what." One of the reasons that I put the project together is, for several years now, as I have spoken about these issues across the country, I often get the same set of questions: How do we diversify our local church? Our denomination? Our college? I always get asked for resources on those questions and that's what really helped me design the book the way I did – to provide people one place where they can get some of those questions answered and help them develop imaginative solutions that fit their local context.